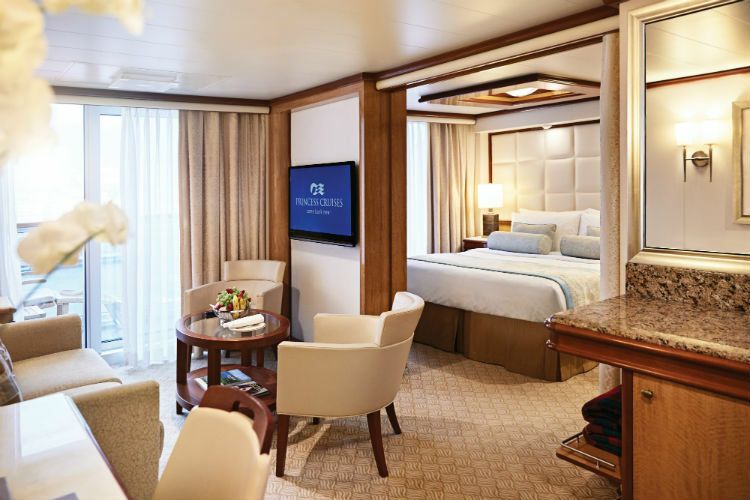 Princess Cruises are elegant and relaxing, offering a chance to embrace new destinations and cultures while relaxing in the surroundings of your ships’ dining venues, entertainment and sun decks. 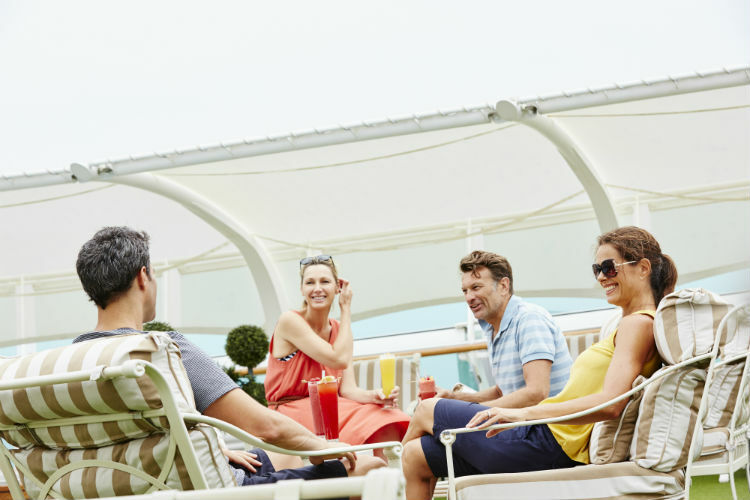 With a fleet that offers fun, excitement and indulgence, here is a small guide on what to expect on a cruise with Princess Cruises. Can I take alcohol on-board my Princess Cruise? Guests are prohibited from taking alcohol on-board their Princess ship, with the only exception being one bottle of wine or champagne no larger than 750ml per adult of drinking age. If consumed in your stateroom, guests will not be subject to a corkage fee, however those consumed in public areas are subject to $15 corkage fee. What’s included in my fare? What drinks packages are included with Princess? Can I charge my devices on-board? All of Princess Cruises’ accommodation include 110-volt, 60-cycle AC standard U.S. plug fittings, meaning you will need to bring adaptors to charge any devices or use suitable appliances within your stateroom. Can I upgrade my booking to be all-inclusive? Through Princess Cruises’ Cruise Personalizer, guests can select a number of packages to enjoy before embarking or even during your sail. However, Princess Cruises do not offer all-inclusive options. What is included in my stateroom? How does my luggage get transported on and off the ship? Princess Cruises offers a luggage valet service, whereby guests’ bags are taken from home to your stateroom and back again in partnership with Luggage Forward. This makes it much easier to transport on and off the ship and makes your experience with Princess Cruises carefree. During standard procedure, you take your luggage with you on-board, through security checks and customs, and during disembarkation you collect your luggage from the cruise terminal’s luggage claim area. What is the dress code on-board Princess? What is the Ocean Medallion and what benefits do I get with it? 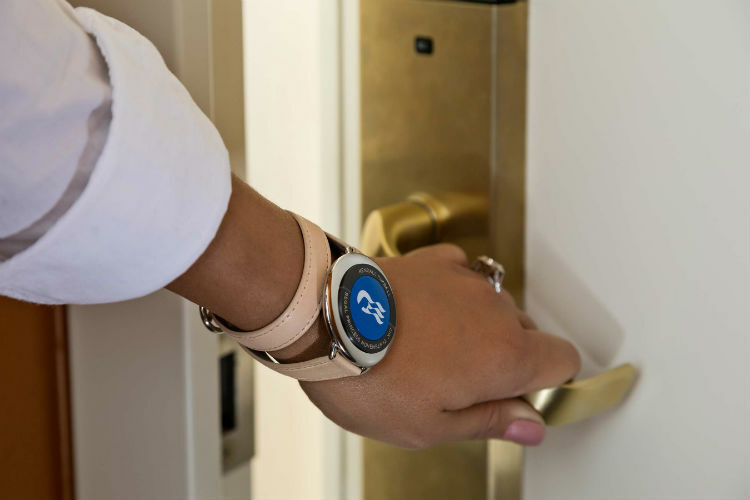 The Ocean Medallion is a wearable device which you wear before, during and after your cruise with Princess. The device holds a unique digital identity and communicates with readers dotted around the ship to offer on-demand food and drinks, interactive games, custom entertainment, smart locks on your stateroom and speeding up your embarkation. The device can be worn as a wristband, pendant, clip or be kept in your pocket or bag. Guests need to select the option when booking their cruise, upon which the price of the Ocean Medallion will be included and the device will be shipped to you before you embark. What is the difference between Anytime Dining and Traditional Dining? Anytime Dining is a fully flexible dining experience, offering the freedom to dine with whoever at any time between 5.30pm and 10pm. Traditional Dining is the classing cruise dining experience, offering set times for dining where you are seated at the same table, with the same guests and staff each night. Is Wi-Fi included on-board Princess Cruises? All Princess vessels offer 24-hour internet access in the on-board Internet Cafe and wireless network. Guests can purchase Internet packages while sailing, which can be booked through the Cruise Personalizer. Are there any adult-only areas on-board? Children are welcome on-board all Princess cruise ships, but there are areas which are reserved for adults only. This includes The Sanctuary, a luxurious spa featuring plush lounge furniture, attentive Serenity Steward service, soothing music, refreshing beverages and even an open-air massage in your own private cabana. There are additional charges to use The Sanctuary. 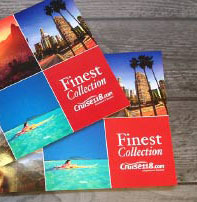 Princess Cruises offer elegant and relaxing sailings to some of the far reaches of the world. Enjoy cruising the coastlines of exotic shores and cityscapes as you sit back and relax on-board. There is a wide variety of cruises with Princess on offer at Cruise118.com, with a choice of stunning ships to pick your favourite! If you have any further questions about Princess Cruises, call our Cruise Concierge team on 0808 1234 118 for award-winning advice and expert service.